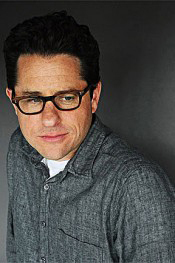 J. J. Abrams started his career writing feature film scripts. He wrote many successful movies like Taking Care of Business, starring Charles Grodin and Jim Belushi, Regarding Henry, starring Harrison Ford and Forever Young, starring Mel Gibson. In 1997, Abrams teamed up with producer Jerry Bruckheimer and director Michael Bay on his script, Armageddon, which became a summer blockbuster starring Ben Affleck and Bruce Willis. Abrams then moved into television, creating the hit series Felicity, which ran for four seasons on the WB. Next, he created Alias, starring Jennifer Garner. Alias went on to win countless awards, including an Emmy to Abrams for Outstanding Writing for a Drama Series. Most recently, he co-created the mega-hit series, Lost, which airs on ABC. Abrams is the true “renaissance man” of Hollywood, because he writes, directs, produces and also composes music, including the theme song for Alias. In 2006, Abrams directed his first feature film, Mission Impossible III, starring Tom Cruise. The film went on to achieve enormous worldwide box office success. Abrams took time from his hectic schedule to speak with me from his office at the Disney Studio. During your childhood, did television influence your interest in writing? The Twilight Zone was by far the biggest television influence for me as a child. I also liked The Mary Tyler Moore Show and Rhoda. Growing up, my father used to sell commercial time for CBS-TV and became a television movie producer. My mother is an author and lawyer and has also produced some TV movies. When my father was at Paramount Studios, I got to wander around and watch them make hit shows like Happy Days, Mork & Mindy and Laverne and Shirley. That was always a kick because those were the television shows of my generation, being born in 1966. As far as film influences go I had a very odd and diverse selection of movies that I liked. The Philadelphia Story with Katherine Hepburn, Cary Grant and James Stewart, is my favorite movie of all time. I was a huge fan of disaster movies like The Poseidon Adventure, Earthquake and Towering Inferno. I loved director Blake Edwards’ comedies. I loved Bullett with Steve McQueen. I was a big fan of The Exorcist and I have also always been a huge James Bond fan. So, there were a wide variety of influences on the small screen as well as the big screen. When you got to college, did you automatically focus on a major in writing? I went to Sarah Lawrence College in New York. We didn’t really have majors there. My first class that I could not switch out of was a nonfiction essay course that I didn’t really want to take. I tried to get out but I couldn’t. So, in the class I started writing fiction as nonfiction. I tried to pass it off as nonfiction and so it really turned out to be a great fiction class. While I was there, I became friends with Jesse Alexander. We wrote a script together in college, but it went nowhere. I eventually hired Jesse to be a writer on Alias. At what point in your life did your career aspirations begin to develop? My career aspirations began when my dad was first getting started doing television. My grandfather took me to Universal Studios when I was eight years old and it blew my mind. I said, “Oh my God!” It galvanized the dream for me of writing and directing for film and television. It opened my eyes to a whole world of creativity and excitement. From that moment on, I started making Super 8 movies and just kept going at it ever since. One of the hardest things to do for a writer is to obtain representation. What was the process like for you in attempting to land an agent? When I was in college I wrote nine or ten screenplays. I think each one was worse than the one before it. But, I was truly just trying to write a screenplay that I liked and I just couldn’t seem to do it. I was in my senior year of college and back in Los Angeles. I ran into a friend of mine named Jill Mazurksy, who is the daughter of actor/writer/director Paul Mazursky. Jill had written some things and we decided to collaborate on a project together. We wrote a treatment for a film that her father showed to Jeffrey Katzenberg, who at the time was the head of Disney. So, I went back to college to finish up my senior year and try to figure out exactly the answer to that question, “How do you get an agent?” In the meantime, Jill called me and told me that her dad showed Jeffrey the treatment and he wanted to buy it. I was elated. She said, “So, let’s write the screenplay!” This was something I almost couldn’t believe. Anyway, we sold the treatment and I signed the contracts on a Friday. On that following Monday, The Writers Guild strike of 1988 started and lasted for six months. So, Jill and I were stymied on our first writing venture together. I went back to school and finished my senior year in college. I went to Los Angeles after graduation and moved into an apartment with my best friend. When the writer’s strike was over, we wrote a screenplay for a film that was eventually made called, Taking Care Of Business, which starred James Belushi and Charles Grodin. This led to me getting an agent. You went on to write many great feature films like, Regarding Henry, Armageddon, Forever Young. Why did you decide to do a turnabout and switch to television and ultimately create Felicity? Well, I was working on a bunch of different projects doing rewrites and I felt like I was not on the right track, somehow. I met a woman, who later became my wife, who reminded me that you have written the things you really care about. She encouraged me to go back and work on some stories that I really wanted to do and hadn’t done. So I had this idea for a story about a young woman who goes off to college, following a boy who she has a crush on and he doesn’t even know. I was having dinner with a good friend of mine, Matt Reeves, who I had met at Super Eight film festivals years earlier when we were 13. I pitched him this idea and he really responded and we started talking about it. We realized it was more of a television show than a movie. We started outlining it and we decided we would co-create it. I would write it and he would direct it. So we outlined the whole script that night. I went back to New York and wrote the script in a couple of weeks. I sent it to Matt. He read it and said, “Great, let’s do it.” We went to Imagine Television, and they said, “Great, let’s do it.” Then, we gave it to the WB and they said, “Great, let’s do it.” More than anything this whole situation was incredibly lucky. For the complete interview pick up Created By: Inside the Minds of TV’S Top Show Creators written by Steven Priggé.